In addition to helping marketers source, publish, and measure the effectiveness of content, NewsCred's Content Marketing Platform also enables global and local marketing teams to work more collaboratively and efficiently. 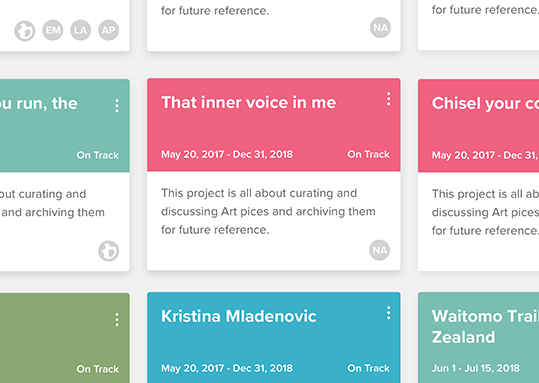 Since fall of 2018, we've introduced some exciting new features, developed a design library, and drastically improved the overall user experience. 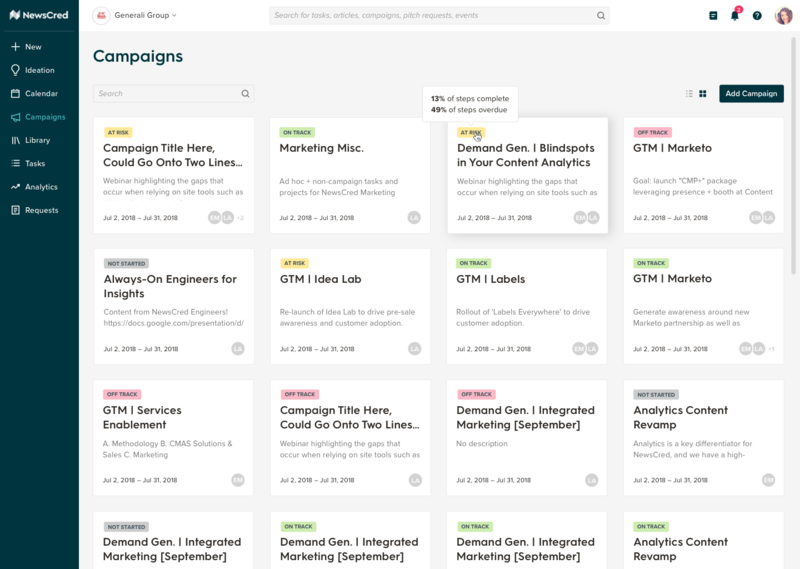 The new version of NewsCred's Content Marketing Platform. 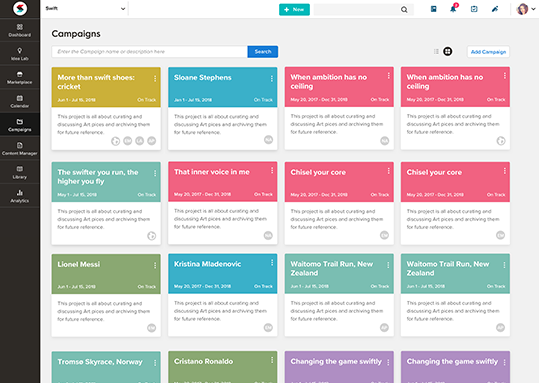 We conducted internal and external user interviews, as well as usability tests to determine the most effective experience for our Campaigns screen, which allows marketers to see all ongoing initiatives at once. The previous version of the application had an outdated interface, inconsistent components, and Campaign card colors were confusing and distracting. As part of a larger UI overhaul, we also created a custom icon set for our global navigation. To learn more about NewsCred's Integrated Marketing Edition please see our product marketer's detailed Insights article.